You are here: HomenextPeoplenextLay PeoplenextSurnames beginning with TnextTaylor, W. H.
The Chancellor of Sheffield 8th Circuit became a member of John Street Church twenty-five years ago. 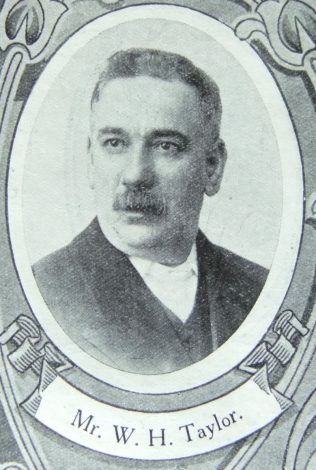 He threw himself earnestly into school work and ultimately became Superintendent, first at John Street, later at Abbeydale, and now at Ann’s Road. For over twenty years he has been Assistant Class leader, a position he still retains. When Abbeydale Church was opened he became the first Society Steward, and when a meeting was held for the formation of the 8th Circuit our friend was unanimously requested to become its first Steward. To this he consented, and for seven years directed the Circuit’s finance with conspicuous ability. Four years ago he relinquished the position, but has just been unanimously re-elected. Of sane judgement, large sympathies, generous disposition, and sterling loyalty, he ever seeks the highest interests of Circuit and minister alike. We wish for him many years of gladsome service for his Lord and Church. I have not been able to identify W. H. Taylor in census returns based on the information in the sketch. Can anyone point me in the right direction?